March is National Women’s History Month. Schools and communities all over the country celebrate and commemorate the amazing things that women have accomplished in our country, and not just for women, but for other disenfranchised people who live in the U.S. 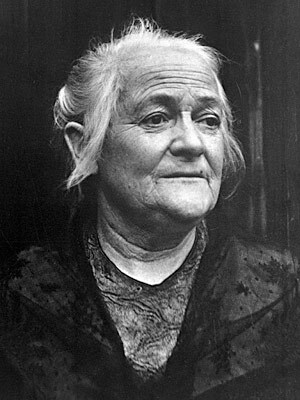 It all started when Klara Zetkin organized International Women’s Day on March 19, 1911. This annual event was about promoting peace and women’s rights. Sadly the idea sort of fizzled until the 1960s, when interest in this special day was refurbished during the women’s movement. Women started asking why they weren’t included in history books. What was up with that? Female historians started promoting women’s history in the schools. They picked the week of March 8 for Women’s History Week, which included International Women’s Day, now on March 8. Are your students aware of how women in the U.S. lived just 50-60 years ago when their grandparents were growing up? One way to focus their attention on women in history is to talk about how female students were required to dress in the days of not that long ago. I’m guessing a few in your classroom won’t pass the 1960s dress code test! With this theme in mind, have the students interview an adult woman in their family or friend circle. What did she accomplish in her life that had an impact on her family, work, community, or even the country? What were her struggles and challenges as a woman and how did she deal with them? Learning about the mothers and other women in their own and other students’ communities helps children better understand their own lives. This activity can tie in with a family history project (Family History Month is October, by the way) and can also spark conversation about the diversity in your classroom. Let older students ponder what’s it like to make a mark on the world. How did Amelia Earhart feel to be the first woman pilot to fly solo across the Atlantic Ocean? What kind of personality did Rosa Parks have to make her brave enough to refuse to give up her seat on the bus and go on to fight for civil rights? How would Sandra Day O’Connor have dealt with the formerly all-male world of the Supreme Court? Have the kids pick from a list of women in history and research their lives. Then the girls can write an essay or poem about how they would feel if in their place. The boys can write about what it would be like if this amazing woman was their mother or sister. Your older students can read about how and why women were kept from so many rights and opportunities and write about how they feel about that. For example, why let women vote? Why allow women to attend college? Why should or shouldn’t women in the military be on the front lines? Why won’t some states pass the Equal Rights Amendment and others did? Let the students study these themes and write a speech about their views. Then you can have a mock hearing on the subject! Let your students review the list and then research and choose their own choice for an amazing woman in the STEM fields. You might also have them suggest a theme to the National Women’s History Project for next year! Younger kids can read picture books and early readers with strong female characters and talk about them. What makes her able to tackle her problems? Does she need a boy to help her? Did it make a difference that she was a girl? One of my favorite classic “women’s lib” picture books is Princess Smartypants by Babette Cole, but I’m sure you have a long list of your favorite books with strong heroines. Hopefully these activities will give you some new ideas for celebrating National Women’s History Month. Right on, sister! This article was originally published on March 11, 2013, and updated on March 6th, 2018.